Inside Josh Lilley Gallery’s stand at Frieze New York, a painting barely larger than an album cover hangs on an otherwise empty white wall. 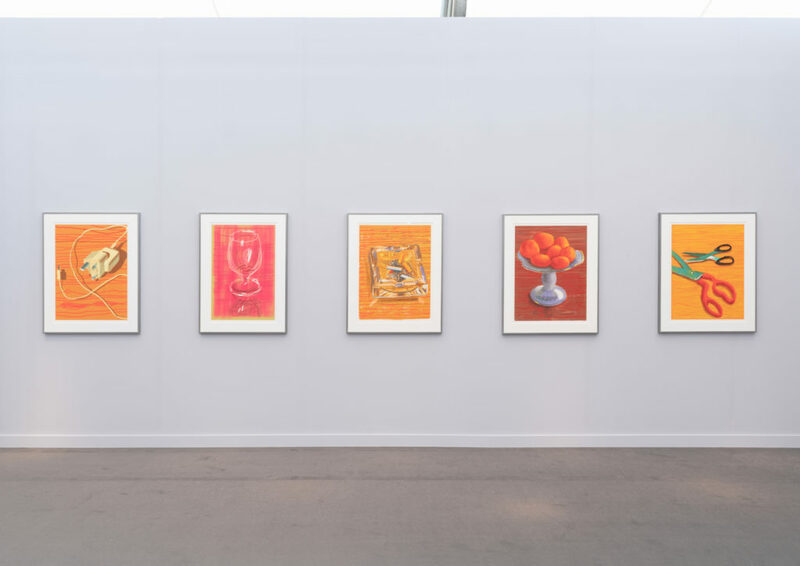 The work, by the 30-year-old Berlin-based artist Tom Anholt, sold to the first client who walked into the booth during the fair’s VIP preview for $6,000. That’s $2,000 less than it cost the gallery to rent the wall it’s hanging on, according to the gallery director’s calculations. 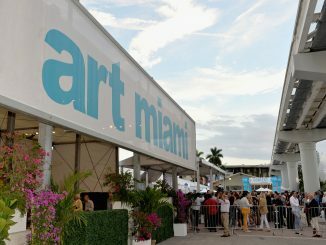 The fair came on the heels of David Zwirner’s offhand proposal at the recent New York Times arts leaders network conference that larger galleries pay extra to participate in art fairs as a way to subsidize small and midsize dealers. 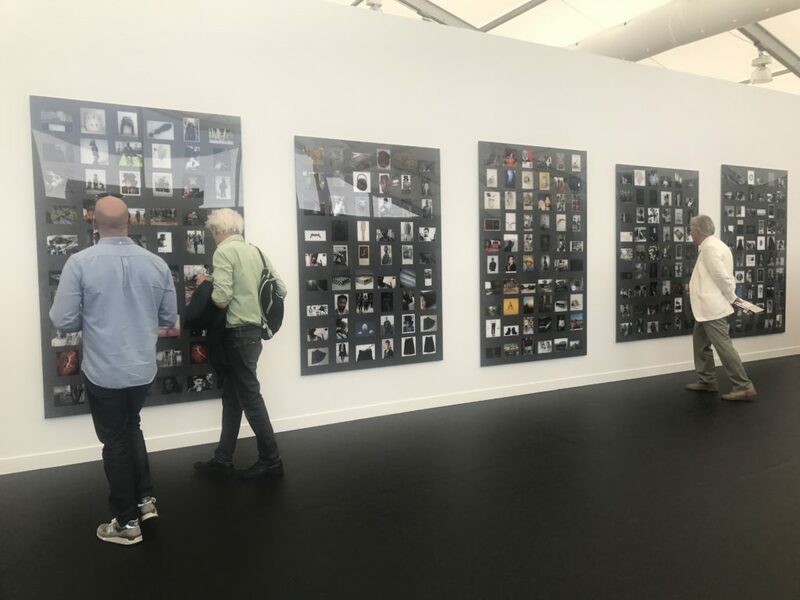 And while not everyone at Frieze New York believed that the idea was feasible or enough to fix the problem, most were in agreement that something needs to give. 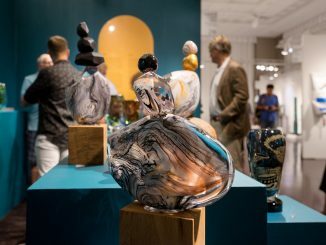 William Pym of Josh Lilley Gallery noted that a fair like Frieze, which can cost six figures to do, is “not the place to take risks.” But at the same time, galleries feel pressure to present something daring in order to project confidence and stand out from the pack. (In his case, the $2,000 discrepancy vis à vis the wall was made up by several other sales of larger works by the same artist, which were listed between $20,000 to $30,000.) “You have to walk this tightrope—you have to be careful and carefree at the same time,” he said. 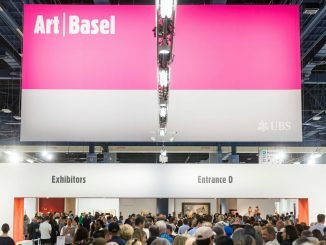 Dealers, Tierney agrees, feel pressure to continue to participate in certain fairs in order to maintain a gallery’s status in the broader ecosystem—even when it might not make sense financially. “Perception really seems to matter when it comes to how your gallery is categorized,” she said. David Hockney’s work at Pace’s Frieze New York booth. Photographer: Tom Barratt, courtesy Pace Gallery. “A piece like that would almost be a little bit too cocky now,” Brown said at Frieze. “And it was cocky at the time, but there is not much room for cocky poetry anymore.” At Frieze New York, he installed six photographic works by Arthur Jafa priced between $40,000 and $45,000. 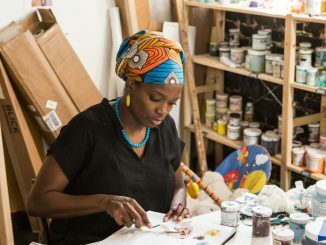 Comparing the present moment to his memorable splash in Miami over a decade ago, he said, “I think if we were in a hot tub then, we’re on a treadmill now.” By the end of the first day, the gallery had sold several Jafa works. Arthur Jafa at Gavin Brown’s enterprise at Frieze New York. Photo: Julia Halperin. 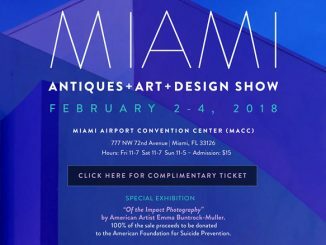 Other galleries had made a sprinkling of sales, too, but most activity hovered below $200,000, according to the dealers and fair representatives artnet News consulted. Lehmann Maupin sold five grid-like oil paintings by McArthur Binion for prices listed between $50,000 and $175,000. Marian Goodman sold William Kentridge’s bronze Shadow Figure II (2016), priced at $95,000. Pace sold more than 20 cheerful, modestly sized iPad drawings by David Hockney for $26,000 each. David Kordansky nearly sold out of dark, cinematic photographs by Thorbjørn Rødland for between $14,000 and $28,000. And Parrasch Heijnen sold half a dozen craggy, charming ceramics by Julia Haft-Candell for between $5,000 and $6,000. Granted, there were a few bigger-ticket items: Thaddaeus Ropac sold a tarnished bronze panel by Robert Rauschenberg that weighs nearly 66 pounds for $725,000 and several large, recent paintings by Georg Baselitz priced between €500,000 and €700,000. 303 Gallery sold a painting by Mary Heilmann for $275,000, among other works. But several dealers who reported strong sales acknowledged they had pre-sold marquee pieces before the doors opened. 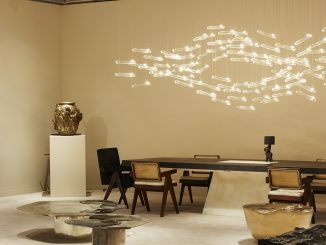 Meanwhile, few dealers brought art priced at more than $1 million (either because they determined top-flight material would perform better at the tony TEFAF New York Spring fair, which opens today, or because they felt it was not the right moment to offer it), while six-figure deals were taking longer to close than they might have several years ago. Several dealers blamed the restrained commerce on the humidity and heat in the tent, which caused some collectors to leave early. “Probably millions of dollars were lost because Frieze didn’t want to spend an additional few thousand to turn the AC on a few hours earlier,” one dealer complained. But the chatter pointed to a crack in the market’s foundation that goes deeper than the weather. 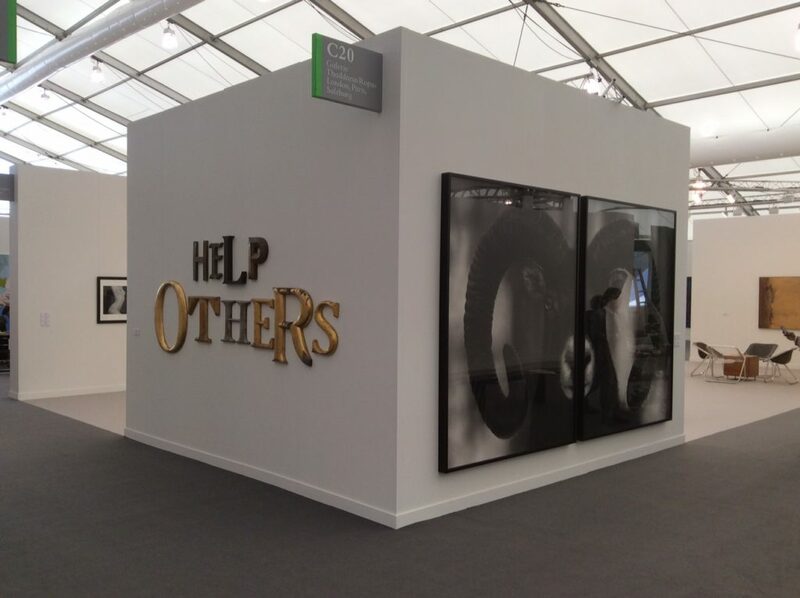 Works by Jack Pierson and Robert Longo at Thaddaeus Ropac’s stand at Frieze New York. Photo courtesy of the gallery.